Being a child of the 80's, I have an avid collector of movies from that era. So many great classics were released around that time, and still have a cult following. 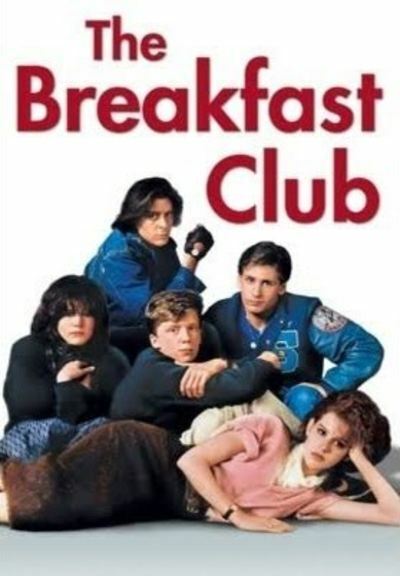 What's your favourite 80's movie, and why? I must admit that I haven't watched a great number of films from the eighties, and those that I have, I either found forgettable, or wasn't that in to. There were some that I enjoyed the first time that I saw them (The Naked Gun), but now don't think are that good anymore. The one place I know I can confidently return to is Disney, and The Little Mermaid was the first in a line of highly successful films that followed for the the next decade. It was near the end of the eighties, and a film I have always enjoyed watching. There are so many I loved from that time but my favourite is probably The Dark Crystal, followed by Labyrinth. The Breakfast Club was fun too and I was very into the Karate Kid back then. Labyrinth was my all time favourite, along with The Goonies. But then there's also Ferris Bueller's Day Off, The Breakfast Club and Uncle Buck. These are all movies I still watch regularly as they remind me of being a kid. Labyrinth and Uncle Buck were both such great movies! Admittedly, I didn't see Ferris Bueller's day off until the nineties and by then, I just don't think it had the same effect. Spaceballs and Stars Wars episode 5 and 6. The 80s had some amazing sc-fi. The Goonies, Star Wars, Lost Boys, Ferris Buella's Day Off, The Flight of the Navigator and the Breakdance movie series .. memories!